Flatmates Leanne and Rhona are placed in witness protection. Leanne leaps at the chance to create an extravagant alter-ego, whilst Rhona is determined to get back to her old life. 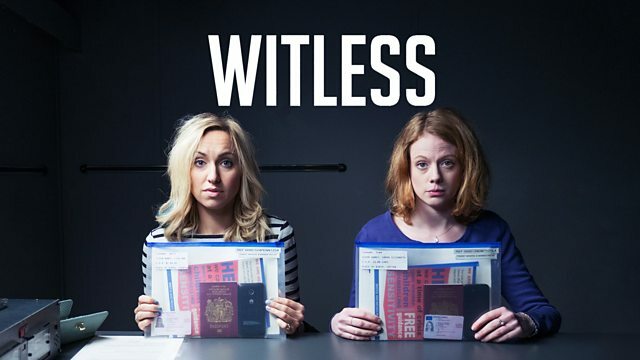 After witnessing a gangland killing, flatmates Leanne and Rhona are placed in witness protection. Leanne leaps at the chance to create an extravagant alter-ego, whilst Rhona is determined to get back to her old life. After Leanne's 'acting' threatens to blow their cover, Rhona decides to take matters into her own hands. Leanne and Rhona's lives are thrown into disarray after witnessing a gangland shooting. Leanne and Rhona are returning for a second series! Catch up with all of series one here.